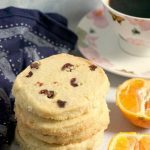 Cranberry Orange Shortbread Cookies, the best Christmas baking treats. They are perfectly soft, crumbly, buttery, pure delish. Deck the halls with boughs of holly, fa la la la la la! So, Christmas again! Ah, don’t you just love this time of the year? With the preparations in full swing and Christmas tree already up, there is no time to rest. I have in mind a few dishes that l would like to cook for the big day, but today l’ll be sharing a lovely recipe for shortbread cookies. I am a big fan of shortbread cookies/biscuits, I often have them with a nice cup of tea. Although lately I haven’t said no to coffee either. Oranges and cranberries together say Christmas, what a lovely fragrance! There is nothing I love more than being joyful, baking and spending time with my loved one! After all, that’s what celebration is all about, sharing the magic with families and friends. And, of course, sharing some cookies too 🙂 So, what are your favourite cakes/cookies you bake for Christmas? 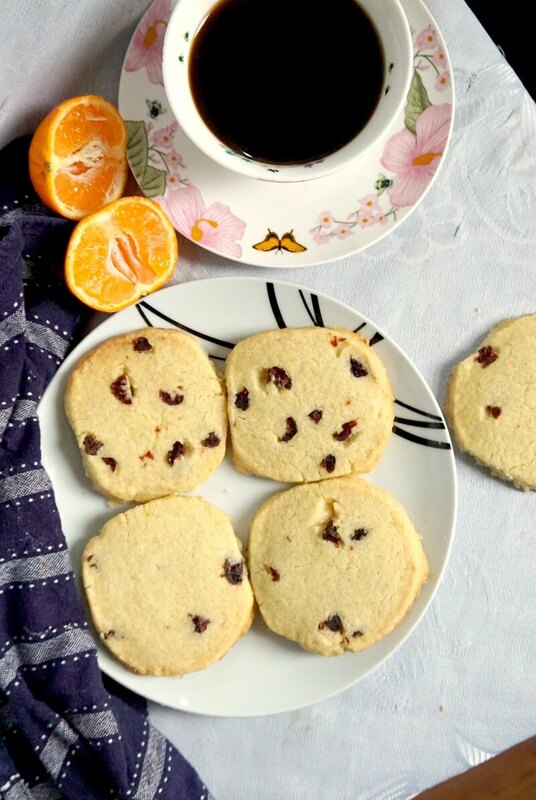 How do you make the best cranberry orange shortbread cookies? I can’t possibly imagine Christmas without the fresh aroma of cookies in the oven. It’s one of those fragrances that stays with you for the rest of your life, and takes you back to your childhood days whenever you fill your kitchen with it. And making these beauties is dead easy. But, there are a few tricks if you want to get perfect shortbread cookies every single time. Most dessert recipes call for soften butter, and ingredients at room temperature. Shortbread cookies are the exception from the rule. We want the butter cold straight from the fridge, so that when it’s rubbed with the flour it crumbles nicely. Salted butter works better, it gives the cookies a good taste and texture, where the unsalted butter tends to taste pretty bland in this recipe. Sift the flour, add the butter cut into cubes, and rub it in until it resembles breadcrumbs. 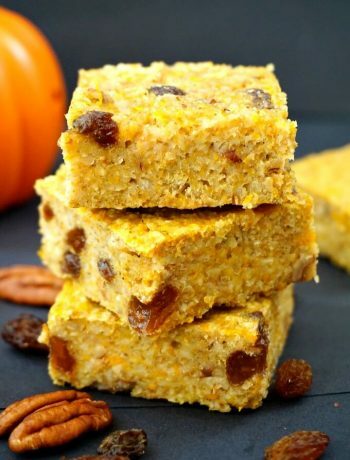 Add the orange zest, orange juice and orrange essence, plus sugar and dried cranberries, and knead gently to form a dough. Shape the dough into a big sausage, cover in clingfilm, and refrigerate for at least one hour. If the dough is not chilled, the cookies will spread too much during baking. How long do you bake shortbread cookies for? Pre-heat the oven at 180 degrees Celsius (360 Fahreneheit) Slice the sausage dough into about half a cm thick rounds, arrange on a tray lined with non-stick baking paper, and bake for about 20 minutes. The cookies will still be soft at that point, and will have a pale yellow colour. Remove them from the oven, and leave to cool on the tray, they will harden once cooled off. How do you store shortbread cookies? Once cooled, the cookies can be transferred to an air-tight container, they will keep fresh for at least 3-4 days. 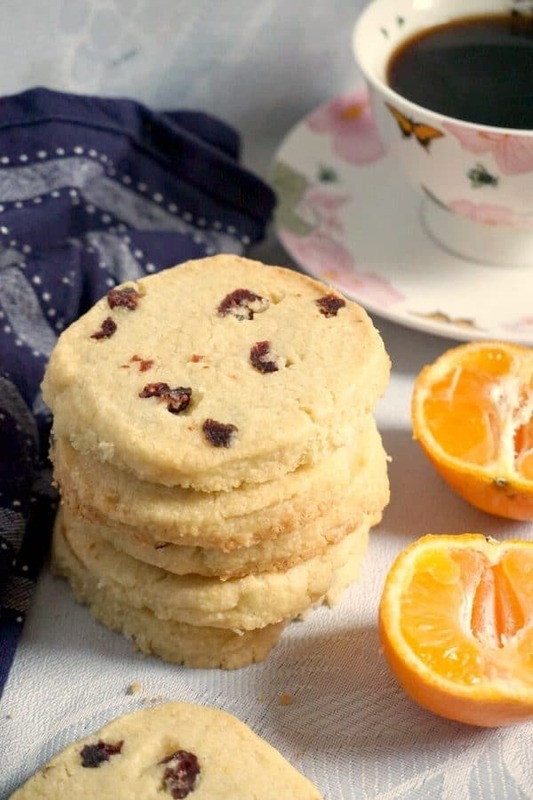 Can you freeze the cranberry orange shortbread cookies? If you want to make the dough in advance, you can freeze it once it’s shaped into a sausage. If it’s too difficult to slice, leave on the kitchen counter for about 30 minutes, then slice with a good bread knife. 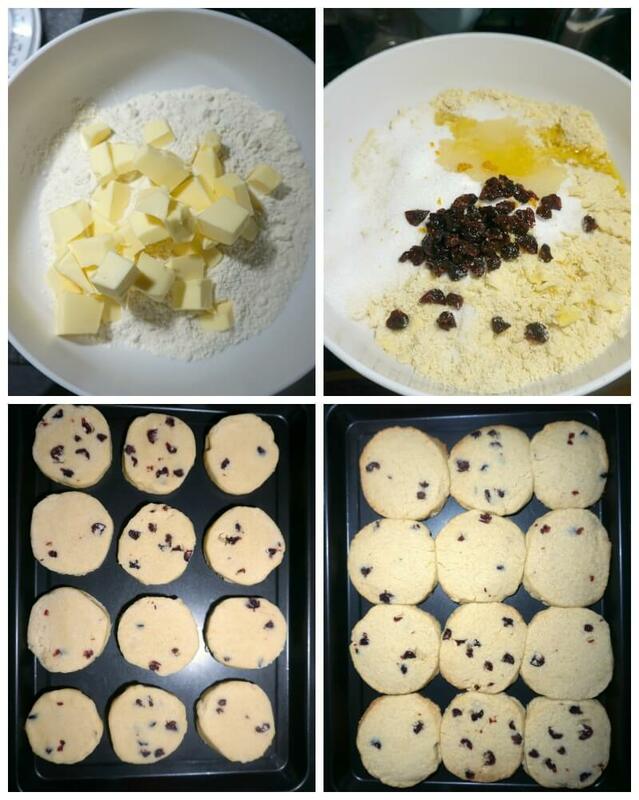 The cookies can be baked even if they are still slightly frozen. 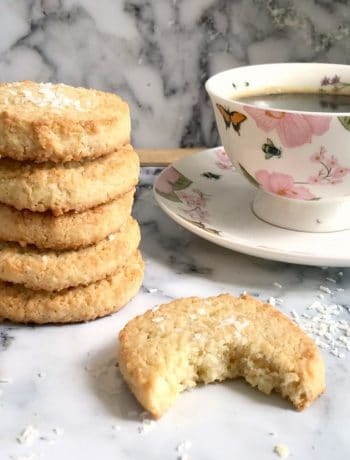 If you like shortbread cookies, how about some coconut shortbread cookies? They are super delicious, and they melt in your mouth. 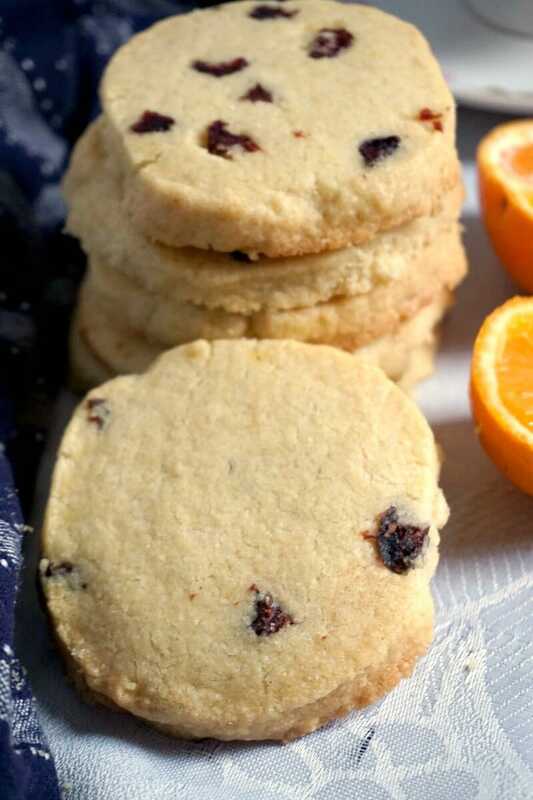 If you’ve liked my CRANBERRY ORANGE SHORTBREAD COOKIES or any other recipe on the blog then don’t forget to rate the recipe and let me know how you got on in the comments below, I love hearing from you! You can also FOLLOW ME on FACEBOOK, and PINTEREST to see more delicious food and what I’m getting up to. Cranberry orange shortbread cookies, the best Christmas baking treats. Buttery, soft, crumbly, sheer perfection. Preheat the oven to 180 degrees C. (360 Fahrenheit). In a large bowl, sift the flour and add the butter, and rub it in until the flour resembles breadcrumbs. Add the sugar, cranberries, orange essence and orange zest, then the orange juice and knead gently until the mixture forms a dough. 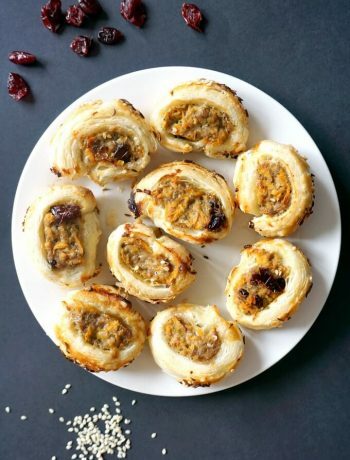 Work the dough into a large sausage shape. Transfer to the fridge for at least one hour. Use a sharp knife to cut the roll into 1/2 cm thick slices and spread them on a baking tray. Bake for 20 minutes or until the cookies are firm to touch, but careful not to bake them for too long, otherwise the colour will turn into golden brown, and we want a light golden colour. The cookies will still be soft when out of the oven, but will harden once cooled. Could you freeze the dough? Hello! Thank you for your comment! I have not tried to freeze the dough, so l do not know if freezing would change the texture in any way. I would probably cut the dough into cookies and freeze them uncooked, and bake when needed, rather than wait for the dough to thaw and then cut into cookies. It might be a quicker process. Let me know if that helps.